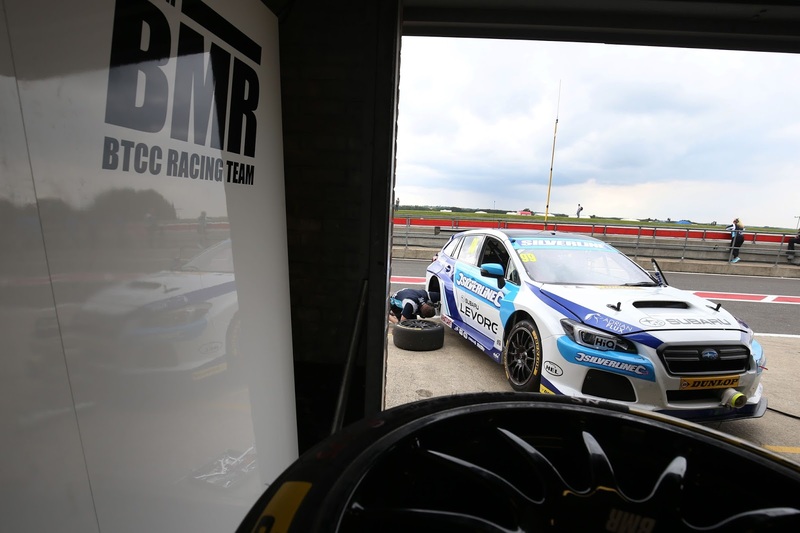 The return to the Dunlop MSA British Touring Car Championship was one filled with drama for the start of the second half of the series but it was one that brought fantastic results for Silverline Subaru BMR Racing with us accomplishing four of Subaru Levorg GT’s in the top ten. Free Practice One was all about trying to get the right balance for the Subaru Levorg GT’s with the cars having not completed many miles during the annual Dunlop tyre test. The session saw Colin Turkington once again dominate for the first of the two free practice sessions and topping the times, as the machines of Jason Plato, James Cole and Warren Scott all improved for the Silverline Subaru BMR Racing quartet into the second session of the day with Colin remaining the quickest of the four Subaru Levorg’s. The afternoon’s qualifying session saw Honda’s Gordon Shedden secure his first pole position since Donington Park in 2014 with Colin setting the setting quickest Subaru time just 0.015s short, placing his Subaru Levorg GT on the front row. However it was disappointing for Jason as he couldn’t get a clear run away from traffic on track and qualified in eleventh spot. James qualified in the top half of the field with a thirteenth place as did Warren who still managed to set the fifteenth quickest time after an excursion off the track. 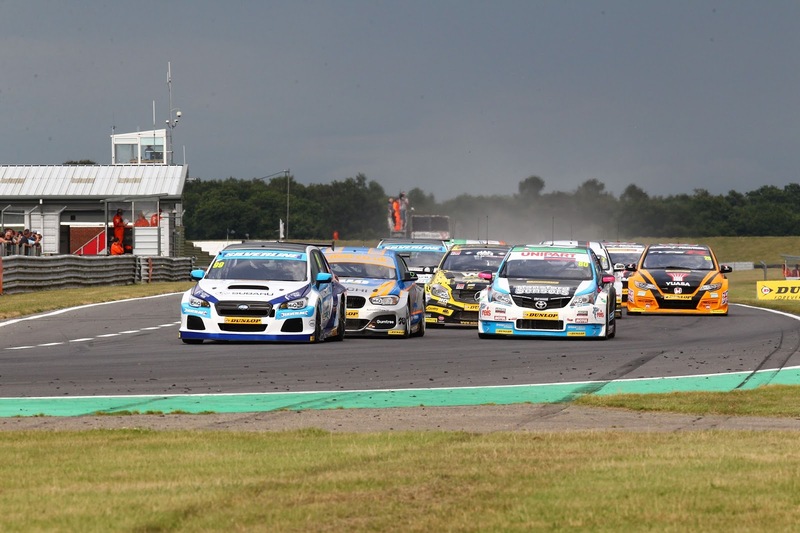 With huge crowds flocking into a sunny Snetterton on Sunday, the first of day’s three races got underway with all four cars getting a good clean getaway. Shedden held the lead into the first corner with Colin hot on his heels in 2nd position, with Jason making fantastic progress up to seventh place, as James moved into eleventh and Warren up into twelfth by the end of the opening lap. All four drivers held their positions for several laps and by lap eight Colin had almost glued his Levorg GT to the rear of Shedden’s Honda as the duo approached Palmer, when Colin pounced and took the lead of the race. 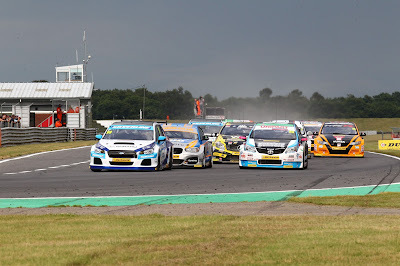 Warren and James gained a place each and moved up into tenth and eleventh after eight placed Josh Cook received a puncture in his MG. Jason kept the pressure piled on the Toyota of Tom Ingram seeking any opportunity to pass. 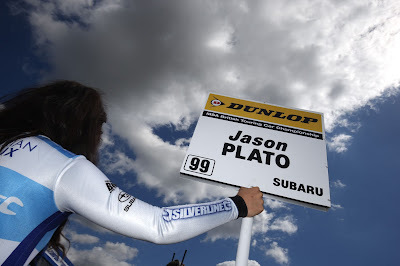 Jason, Warren and James all gained another place each moving up to sixth, ninth and tenth after Sutton followed in Cook’s footsteps and also pitted with a puncture on lap ten placing all four of the Subaru Levorg GT’s up into the top ten. After a near race long battle Jason made a stellar move on Ingram at Agostini placing him fifth and Colin extended his lead out in front and brought the car home to take the win for Silverline Subaru BMR Racing. Jason came home in a superb fifth place after a fantastic drive, with Warren matching his career best of ninth and James placing the fourth car in tenth. 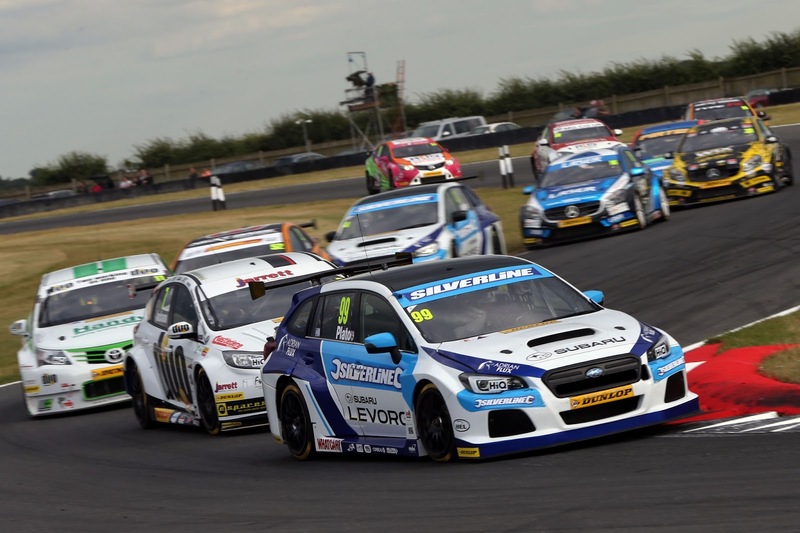 All of us at Silverline Subaru BMR Racing are absolutely delighted with our strongest result so far in 2016 and to have all four of the Silverline Subaru Levorg’s in the top ten for the first time. There was disappointed at the start of race two as James Cole retired on the out lap with a broken drive shaft and had to abandon his stricken car between the Bomb Hole and Coram. Moments later the lights went out all three made great starts, but Warren was spun after turn one as he took a hit from behind spinning him across the track. However for once lady luck was on his side and the chasing pack all avoided further contact enabling him to continue albeit a lot further down the order than he had started. Colin then ran wide at the newly named Wilson bend allowing the Ford Focus of Mat Jackson to nip up the inside and into the lead. Jason also ran wide onto the grass dropping down a spot to sixth. As the leaders headed down the Bentley Straight, Ollie Jackson in the Audi ran wide and made contact with Dan Welch kicking up a cloud of dust as the duo speared across the track. Unfortunately several unsighted drivers including Sutton, Alex Martin and Hunter Abbott ploughed into the accident ahead of them which blocked the track bringing a red flag to the proceedings. Thankfully although the cars were a bit worse for wear all of the drivers escaped without injury. The marshals and officials then had the mammoth task of retrieving the damaged cars and repairing the barriers ready for a restart. As there was less than a lap contested the grid would line up in the same order as they originally started throwing Colin a lifeline and back to pole position. As the lights went out for the second time the remaining three Silverline Subaru BMR Racing drivers got off to a good starts as the mayhem unfolded behind him them once again as Mark Howard’s VW and Martin Depper’s Honda both going off the circuit. With all three Subarus’s safely through the Ford Focus of Jackson on the softer tyres took the lead from Colin, with Jason and Warren holding station in fifth and ninth by the end of the opening lap. When the pack arrived at Wilson on lap two, Colin escaped a nudge from Shedden’s Honda who subsequently received contact from the Mercedes of Adam Morgan creating a slight gap giving Colin a little breathing space for the remainder of the lap. However the chain reaction of events caused the chasing pack to bunch up that held up Jason dropping him back down the order to seventh. More contact ensued between Morgan and Shedden that allowed Jason to regain the advantage and into fifth. Unfortunately it was Warren that was this time held up as he received contact from the Ford Focus of Andrew Jordan dropping him back down into eleventh, it was then elbows out as everyone sorted themselves out and into their solid positions. Warren was then sent tumbling down the order to sixteenth by the end of the second lap. On lap three Collard, in his weight free BMW, took fifth place from Jason at Nelson. The remaining three Silverline Subaru Levorg’s proceeded to hold onto their positions throughout the remainder of the race with Colin gaining his second podium of the day in a superb second place. Jason come home in sixth with Warren just out of a point scoring position in sixteenth. The luck of the reverse grid draw didn’t swing our way and the highest placed Subaru driver for race three would be Jason on the second row in third position as Sam Tordoff was awarded Pole Position in his BMW. Colin would start in seventh, with Warren sixteenth as James joined the gird all the way down in in twenty seventh after the team made repairs to his car. With the officials hoping for an incident free race after the drama earlier on in the day unfortunately the worst was yet to come. As the lights went out for what was set to be the final time of the day all the front runners made a clean getaway when disaster would strike for a second time. On the main straight as the cars towards the rear of the field went past the pit garages, contact was made between Howard and Martin forcing several cars to take to the grass in avoidance. Luckily for us the last gap through was James, and as Hunter Abbot tried to sneak through he clipped the side of Howard’s VW that forced his Chevrolet into a violent series of rolls, whilst he was rolling an unsighted Ollie Jackson hit Abbott’s car mid roll pushing it up onto the barriers and into the ITV camera crew tower sending it and the cameraman toppling in the process. The race was immediately stopped and remarkably the cameraman had a very lucky escape as did all of the drivers involved in the incident. The circuit officials then had a huge operation in front of them to clear the start line of the stricken cars and repair the barrier. With the remaining cars re-joining the grid yet again in their original grid positions, pole position man Sam Tordoff was missing from the start line with a component failure creating a clear gap in front of Jason for the start. The lights went out with Jason getting a great start off the line and a good run up on the inside on Ingram and into the lead by the first corner with Collard following him through into second position. Colin also had a good start making up two places and into fifth with Warren fifteenth and James twentieth by the end of the opening lap. Jason however was struggling to hold onto the lead out in front allowing Collard to pass him on the inside at Williams as he defended from Jackson. There was further disappointment on lap three when Jackson finally made the move stick on Jason sending him down the order to third and now under the attack from the Honda of Gordon Shedden with contact being made several times allowing the Scotsman to take the third place away by the start of lap four with Rob Austin also going through placing Jason in fifth with Colin now hot on his heels in sixth. Warren also dropped down the order to seventeenth and James eighteenth, when disaster would strike for Jackson moving all four Levorg’s up a further place in the race. For the remainder of the now ten lap race there were no further gains to be made with Jason being the lead Subaru in fourth place as Colin passed Jordan to finish sixth. James brought the third Levorg GT home in nineteenth with Warren retiring with a boost leak on lap seven. Colin remains the lead Silverline Subaru BMR Racing driver in the championship standings having moved up a staggering six places from eleventh to fifth and just 34 points adrift of new championship leader Rob Collard, with Jason eleventh and a further 29 points behind. Warren took his first points of the 2016 season so far in twenty fourth and James right behind him in twenty fifth. Silverline Subaru BMR Racing also picked up the Team Trophy for outscoring all the other teams over the weekend. Racing resumes north of the border at Knockhill in Scotland on the weekend of 13/14 August. Colin Turkington commented: “I’m extremely satisfied with another strong performance and claiming my third win of the season was definitely the highlight. We thought that it could potentially be a tricky weekend for us, but all the summer test miles and hard work really paid off and that is incredibly rewarding. Jason Plato commented: "Snetterton produced another mega milestone for Silverline Subaru BMR Racing with all 4 cars finishing in the top ten, a truly fantastic reward for the team for all the hard work everyone has put into our Subaru project. “Personally Snetterton was a disappointment for me as we struggled to find the sweet spot on setup. We were close but not totally in the groove, I'm looking forward to making progress at Knockhill. James Cole commented: “I was very happy with my performance over the Snetterton weekend. The two day tyre test certainly helped me get a deeper understanding of the Subaru Levorg. I am now starting to extract the last little bits, which has improved my pace. three was certainly on the cards. Sadly a drive shaft failure on the warm up lap in race two put an end to my weekend early. Warren Scott commented: “I am very pleased with the team’s performance as a whole over the weekend and I am overjoyed with my own performance. To qualify one second off pole position on a two second lap is something I’m delighted with. “My first race went extremely well with my ninth place finish, I had a difficult start in race two and finished just outside the points and there was obvious disappointment in race three with having to retire but overall I am extremely pleased the move forward in my own personal speed. SilverlineTools 2014. Simple theme. Powered by Blogger.